Apex Legends was all about team work. A leak and one interview later, it’s reasonable to suspect that the game will in fact be getting duos and solo mode in the books soon enough. Apex Legends has definitely left a mark in the first week of launch. We’ve covered quite a few interesting developments, from the staggering 2.5 million players in the first 24 hours to the 10 million people online within 3 days. Apex Legends has been all over the news and buzzing. 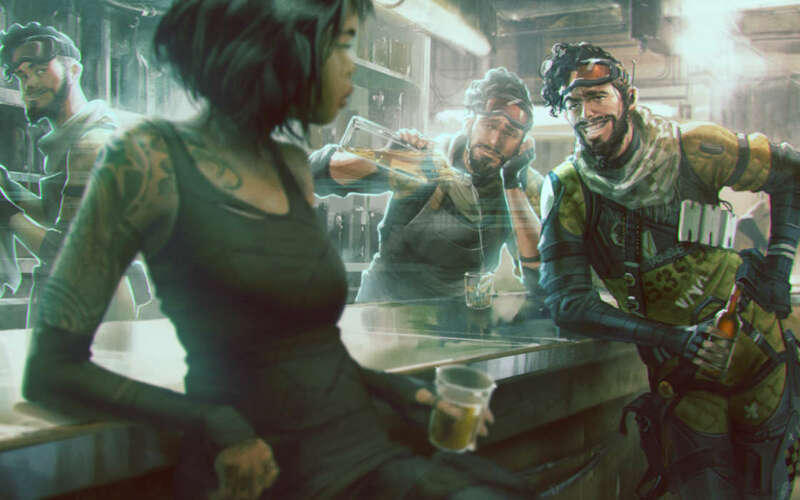 Writers have been going at break-neck speeds to discover all of Apex Legends’ charms and gems. Venture Beat, though, has certainly beaten all others to the punch, releasing a detailed interview with Respawn Entertainment’s CEO, Vince Zampella, shedding a lot of light on anything Apex, from how decisions within the team are taken to the size of the actual developers’ squad. The idea of introducing an individualistic play on the table would bring the game closer to Fortnite, but this is not necessarily the goal by the looks of it. Far more likely, Respawn Entertainment wants to diversify the gameplay not only through the use of cool visuals, but also by giving players a free rein when it comes to choosing their mode of playing. Oh yeah, absolutely. This is just the start of our journey. There will be new maps, new modes, new characters, new weapons, new skins. There will be a ton of stuff coming over the next year to 10, maybe. It depends on how successful it is. The interview didn’t touch on whether Apex Legends would be a paid-to-win title – a speculation on our part, but also a viable concern if errant opinions are to be trusted. Meanwhile, Apex Legends is on the cusp of earning an esports status rather quickly. NRG has become the first team to announce plans to feature Apex as a competitive esports title. Others could follow pretty soon. Apex Legends is in honesty loads of fun to play. It has a very mild learning curve and feels like a different amalgamation between Overwatch, Fortnite and PLAYERUNKNOWN’S BATTLEGROUNDS. In honesty, this is a Battle Royale game that feels completely different from all three titles and yet manages to distill a lot of their game-defining features. With possible new modes coming right up and tons of new content, Apex Legends is definitely one of the titles to watch out for in 2019. A new leak has shown that Apex Legends could be getting solo and two-man squad modes coming. More post-launch content is scheduled to hit as well.